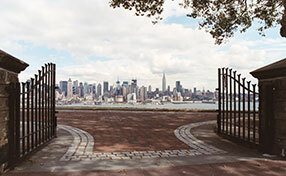 This page unveils practical gate repair answers for questions on proper maintenance of gates. I want a new gate installed, how do I make the right choice? When making choices experts from Gate Repair Westlake Village suggest that you consider factors that have a great bearing on the kind of gate you need. First of all consider what is your main purpose for your gate, should it be more ornamental than functional or should it be heavy duty? You should also take into consideration the safety features you want to go with your choice. The gate in my shop is getting defective, what do I do? There are simple ways of repairing defective gates. According to an expert from Gate Repair Westlake Village, you could check the mechanisms and all electrical connections. 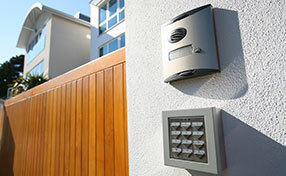 Often a loose switch or shortage in the flow of electricity makes your gate defective. Check on connections and controls first before resorting to gate replacement. You could also try oiling hinges and rollers as rust might be accumulating on them. How do gates get damaged? Extreme weather conditions cause much damage to gates. Rainwater can cause the hinges and rollers to rust while cold temperature can effectively slow down the functioning of a gate. Regular maintenance, done at least once a year, helps in keeping gates in top condition. Is it safe to repair my gates on my own? Our Gate Repair Westlake Village professionals do not recommend repairing gates manually, regardless of whether you use an automatic system or not. Gates are heavy and wrongful handling of gates can cause you injury. Also, different parts go with different gate types and automatic opener models and knowing which goes best with what takes experience and skill. What should be taken into account when installing swing gates? Before installing a swing gate, gate installation specialists suggest that you ensure that there is enough space on your property. 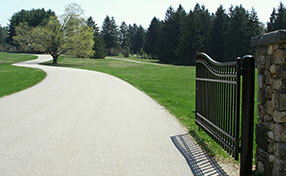 If it can cause inconveniences, it would be more prudent to choose a sliding gate style. Also, do not forget that after a gate opener installation, you can no longer change the gate style without changing the opener.